Regular readers will know that we make the occasional diversion way from online slots and into slightly different areas and in this post we’re checking out Bingo 30-Ball from Rival Gaming. Bingo is a lottery style game which dates back hundreds of years and in slightly differing forms but it’s still a popular pastime in Europe and the United States. 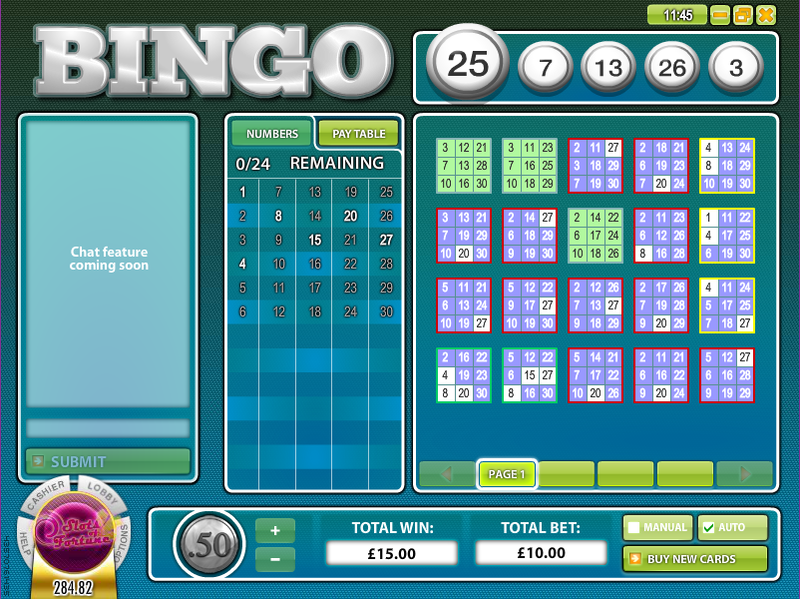 The aim in bingo is to match the numbers on your game card with those drawn out of a machine. How Many Balls To Draw – 20, 22 or 24. The more balls you select the greater the chances of a win but the lower payouts and vice versa. You can’t actually select the maximum cards and highest coin value because that would make the total stake £100 – the maximum is £50. 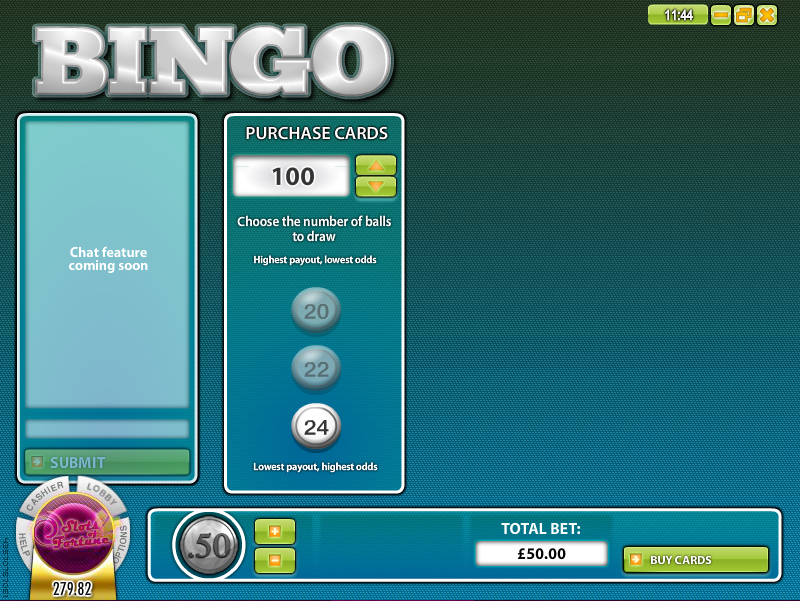 Now you come to the main game screen and you will see your selection of game cards on the right with the balls being drawn from the centre column. The paytable is also on a tab here and there’s a chat box on the left for the more sociable among us. The drawing of the numbers will begin automatically and they will be filled in on the cards as this progresses. Your aim is to fill in all boxes on one or more cards and the border of the cards will turn red as this approaches. Completed cards turn green. If you have chosen a number of game cards which extends to more than one page, those nearest to completion will make their way to the top of the list on page one so that you don’t have to keep tabbing between pages. Any winnings are paid out when the round is over and you will then have the chance to head back to the first screen to make your initial selections once more. Bingo 30-Ball benefits from being a no-frills version of this game ad once you’ve made your initial picks it’s easy to just sit back and watch things happen. If you’re looking for a change from Keno, give this a go.